The solutin is based on the ideas of top geeks. I only did the implementation. Mendel Cooper provided the original design in Advanced Bash-Scripting Guide. Masafumi Oyamada (AKA mooz) added the missing piece by creating percol. How to find full path of a file by fuzz search? 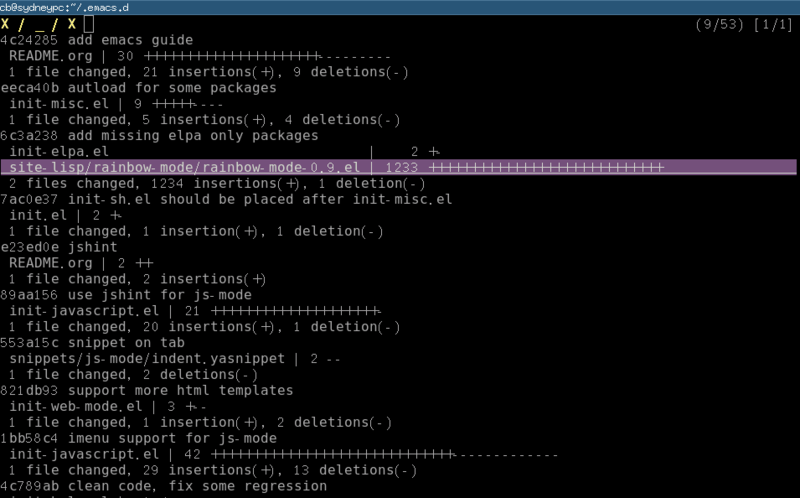 The path should be shared easily to other application like Emacs. Download the package and extract it. Place the sub-directory named "percol/" into the directory "~/bin". Rename the program "percol" in sub-directory "bin" into "percol.py". Put the percol.py also into "~/bin". `cf` is similar to `ff`. It will output Windows path under cygwin. Type "ff partials-of-file-path" in shell. A filter window popups. You can filter and scroll down/up to select one file. The full path will be copied into system clipboard automatically (under Linux, either xsel or xclip are required for clipboard access). The paritials-of-file-path could contain wildcard character. You will notice that I input the string "inflect" to filter the result. I can scroll up/down (press Ctrl-P or Ctrl-N) to select the exact file. In Emacs community, people try to embed a file explorer into Emacs (Sr speedbar, for example). This solution may make embedded file explorer unnecessary. Though grep is quick enough for me, it can be replaced by Silver Searcher. The key idea is that I have full freedom to get job done in any way. Emacs is nothing more than a tool to help me achieve more power and more freedom. 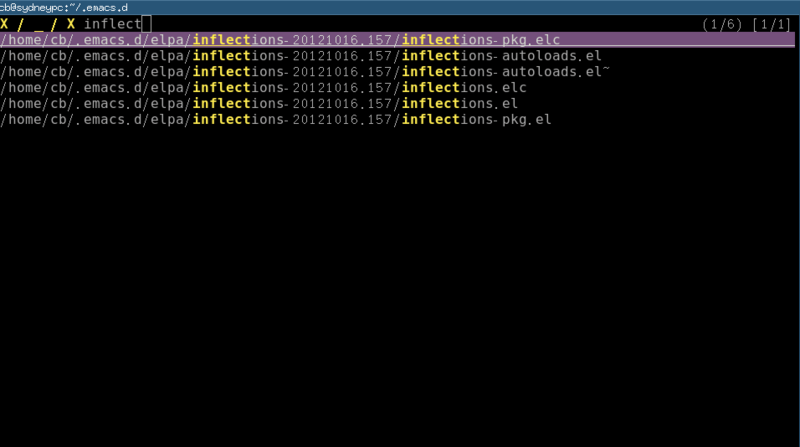 For example, I find mooz's percol because I like his Emacs plugin js2-mode and I want to check his other works.